Landing Page This is the 1st page users will see in the process. It will have a graphic of your lead magnet, a compelling headline, some benefit based bullets and of course – a place for people to enter their name and email address. Thank You Page This is the page that users are taken to as soon as they successfully enter their name and email address. This is a tragically underutilized page by most. Email Autoresponder This is tool that has the ability to automatically send out email. We just asked for some contact information so we need a place to store it. 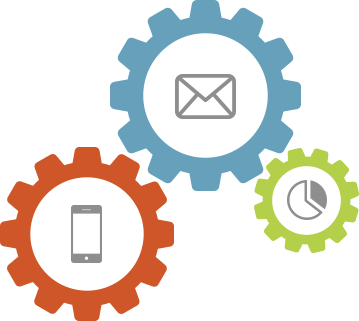 YES, you need an email autoresponder and here’s why. If you don’t have an email autoresponder, you will physically have to email your lead magnet and all the follow up to each person that requests your lead magnet. That would be a ridiculous waste of your time – it is extremely important that you sign up for an email autoresponder if you don’t already have one. So here is what the entire process looks like when it’s all laid out, but let’s step through what happens in each phase of the process. Step 1 -Your steady stream of perfect prospects hit your landing page and have two options – either they go away or they fill out the form. If they go away … they got away and we’ll get them another day. If the person submits an error like a bad email address, or forgetting their name an error will appear on that page and ask them to fix it. If the data that was submitted is good – the web user will be automatically redirected to Step 2 – The Thank You Page. This redirection from Landing page to thank you page happens almost instantaneously. I’m sure you all have seen this hundreds of times. At the same time that redirect is happening, the data from your landing page (name, email, etc) is ALSO being sent to your email autoresponder (Step 3). Once somebody fills in your landing page form, they are redirected to the thank you page (usually to consume some more content) while at the same time their data is being sent to the email autoresponder. Once the contact information is stored in your email autoresponder, you can then follow up with you prospects and hopefully turn them into customers eventually. Use the comments section below and tell me if you are using an autoresponder, or wasting your valuable time physically doing it yourself? Because there are so many different email platforms out there and they all use slightly different language, I want to talk about the basic functionality of the email system and come up with some common terminology to make sure were all on the same page. Once you understand the process, then you can go to your respective software and perform the actions needed. At its core, an email marketing system is really just a contact manager (like an address book or a rolodex if you still remember those) that was built to make it easy to send out emails. You put names in and then you can send them email – pretty basic stuff. Broadcasts – these are messages that are created and sent out in real time like newsletters or holiday specials, etc. Automated Messages – these are messages that get created one time and then are automatically sent out based on specific criteria. Lead – this is the user that has opted in to our form. List – this is the specific email list that was created for these users. Usually we will create a new list for each lead magnet so if you have multiple lead magnets, you will have multiple lists. The exception to the rule is infusionsoft, which uses a tagging structure. If you have questions about that let us know! Message – this is an Automated email message that is sent out from your email system. So let’s just start at the beginning and step through the process and see how the email marketing system plays a part. The first part of making sure our client attraction systems can be evergreen (always working) is that we want our landing page software and our email autoresponder to be integrated (meaning they can talk to each other). So that whenever somebody fills out the form on our landing page, their name and email are automatically sent to your email autoresponder. This keeps us from having to manage the process. It can be running in the background while we focus our attention on other aspects of the business. Remember – the goal is to have a system that will attract clients any time of day. The good news is – all landing page software programs will do this automatically with popular email systems – we just have to tell the landing page software, which list to insert the prospect into. Go to our email autoresponder and create a list. Like I mentioned before, if you have multiple lead magnets you will likely have multiple lists so give the list a meaningful name because you will have to pick it out of a dropdown menu later. Don’t use something like … Lead Magnet. Instead Use: 5 Minute SEO Cheatsheet, 2015 Holiday Special or New Customer Free Evaluation. Whatever the software asks for, you put it in and save it. BINGO, your list is created! Now when you jump in to create your landing page, all you will have to do is select your new list in the integration settings. They’ve actually made it quite easy and if you have any questions at all on how to do this, all you need to do is visit the support center for your email marketing software and search for “create a new list” or something similar. I’m sure they will have videos showing you step by step how to do it. Once that part is completed – the next thing you’ll need to do is create your first automated message. All we want this first message to do is deliver the thing that your prospect just requested (your e-book, report, coupon, etc.) and try to encourage the user to actually consume the content. Mike here from Black Dog Marketing. As promised, below is a link to the special report that you requested. This special report is all based on 13 years of personal experience in this space and this training method is guaranteed to deliver XYZ. Just click the link below to start your journey. After you’ve have a chance to work with XYZ please let us know what you thought. I’d love to hear about your experience. Give your email lists specific names – once you have 5 or ten you’ll thank yourself. Don’t try to do too much in your first email. As entrepreneurs, I know that we can sometimes tend to have a little perfectionism in us, but you have to fight it. Keep it simple, make sure the pieces are working together and then go back and refine over time. 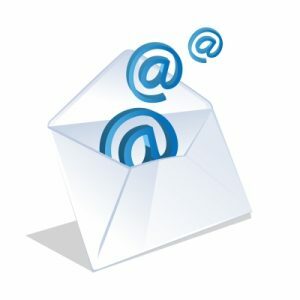 Use the comments section below and tell me if you use an e-mail autoresponder software? Get fresh marketing content delivered to your email inbox every week. Enter your email below!